Ah, the placeholder. The best thing to happen to the input box since…well, nothing ever happens to the input box. That is, unless you’re supporting IE9. In which case you have problems. 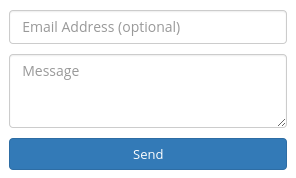 The placeholder can also trick you into thinking you can skip having a label for the form element. For accessibility reasons, you can’t. Screen readers need those things, even if they aren’t visible on the screen. 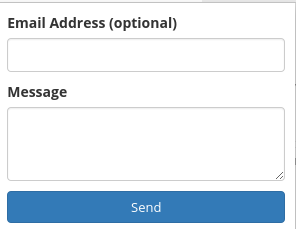 Technically you can do an aria-label on the element itself instead, but then you still have unlabeled form fields with IE9. Here’s my solution, for what its worth. First, I give form elements labels and hide them so they only get picked up by screen readers. Bootstrap has a handy sr-only class just for this. That’s a little confusing, but it’s basically a tiny unit test for placeholder. So IE9 or whatever horror show from yesteryear without placeholder support gets labels, everybody else gets placeholders, and screen readers are a-OK.